Instant pot pulled pork is a quick and easy meal that you can serve up any night of the week. If you haven’t tried an instant pot yet, this is the perfect recipe to get you started. I say that anytime you can make pulled pork barbecue in 75 minutes you have a winner! I also love the instant pot for quick and easy summer time meals. We are always outside or busy during the summer so I am always on the hunt for something quick! I thought you might be as well so I am sharing this instant pot pulled pork recipe. Seal the lid of the pressure cooker and turn the valve to sealing. Set the Instant Pot to manual 75 minutes high pressure, and then allow for a natural release to retain optimal moisture. Once done, remove the lid from the pressure cooker and use two forks to shred the pork. That is so easy! 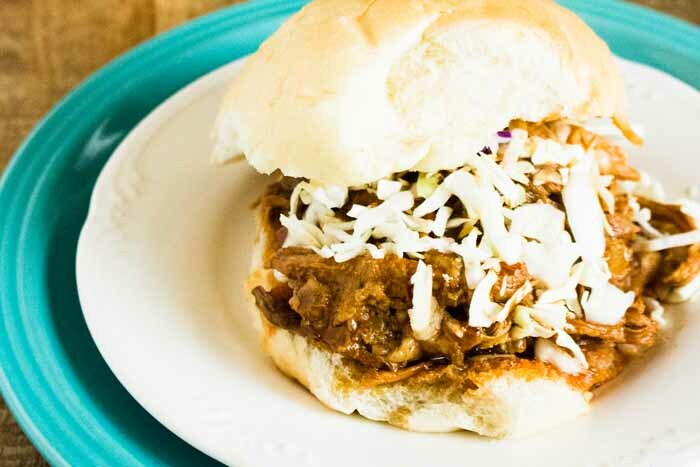 Serve up your pork with some buns and top with your favorite slaw recipe. You can also use this same recipe in a variety of ways. If you have leftovers, try these ideas! Want another idea for your instant pot? After all, if you are going to own one, you will want a wide variety of recipes. 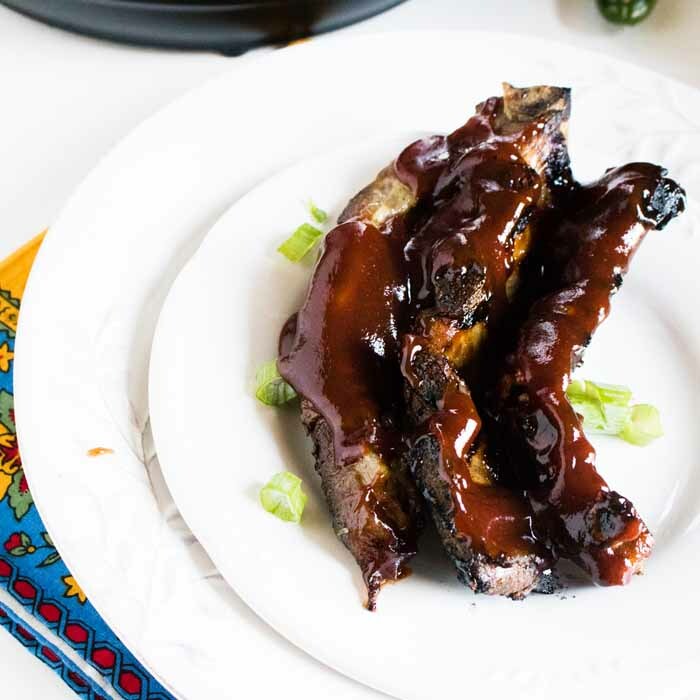 A few weeks ago I shared a great recipe for instant pot ribs that you don’t want to miss. Be sure to also share any other instant pot recipes you have found in the comment section below. We would all love some more ideas! Great recipe. 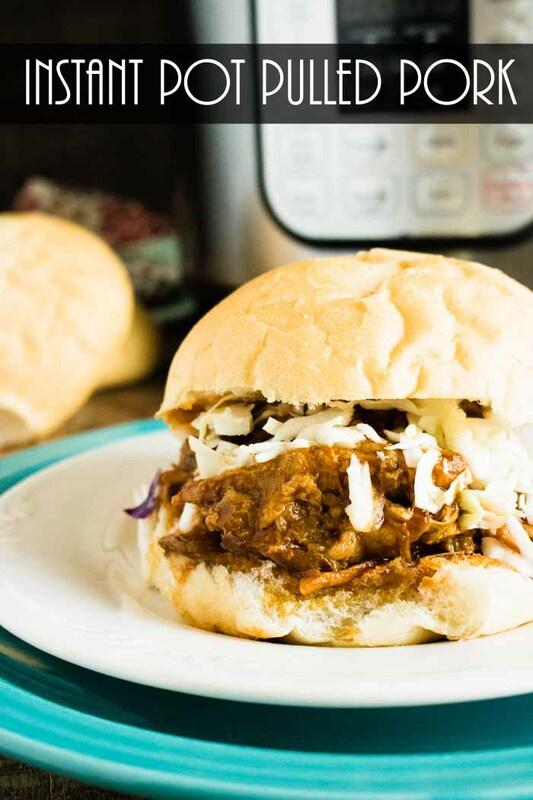 I love to use my instant pot and this pulled pork recipe sounds so good. Shared and pinned. Thank you for sharing at Mix it up Monday. I just recently got my Instant Pot so I can’t wait to try your pulled pork! Looks SO good! Oooooo I can’t wait to try this. I’ve fallen completely in love with my instant pot. It’s the best invention since sliced bread. 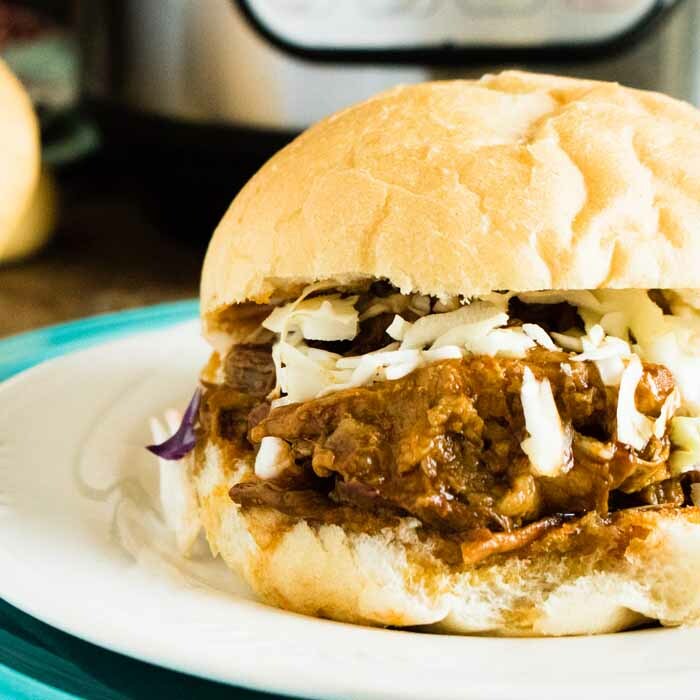 Your Instant Pot Pulled Pork looks delicious! Hope you are having a great week and thanks so much for sharing with us at Full Plate Thursday. We love pulled pork and all simple recipes are my favorites. Only 3 ingredients, that is awesome! See you at Merry Monday next week.